A few times a year you need to have your carpet thoroughly shampooed. Although we vacuum every time we visit you, eventually with time dust, hair, and other foreign matters will sink in and your carpet will start to show signs of age. Vacuuming doesn’t always restore a carpet’s clean appearance. For heavily soiled carpets, shampooing is recommended, rather than spot-cleaning. Wet-cleaner machines spray and remove hot detergent solution while cleaning the carpet. 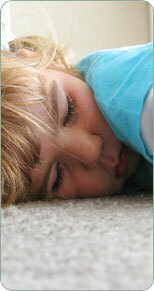 We provide carpet shampooing services. We do it ourselves or if necessary we subcontract out to a few of the best carpet cleaning services in the valley. For an appointment or more information, don’t hesitate to call Coralia at 801.898.7215. You can email us at carpetcleaning@theHousekeeper.biz, or you can click here to jump to our contact form.